Queen Composter is pondering how to deal with her children losing expensive, eco friendly food containers. Every year for Christmas I like to give my daughters reusable lunch containers and snack bags. I have been slowly replacing the less environmentally friendly reusable lunch container options with safer ones. The stainless steel containers that I like are much more expensive than the more “disposable” plastic ones sold in the grocery stores, however, and I am tired of my daughters misplacing them. I have their names on everything, and occasionally they make their way back to my girls, or the missing containers are found in the bottom of a bag. But I am noticing the stock shrink over time and I don’t know what to do about it. 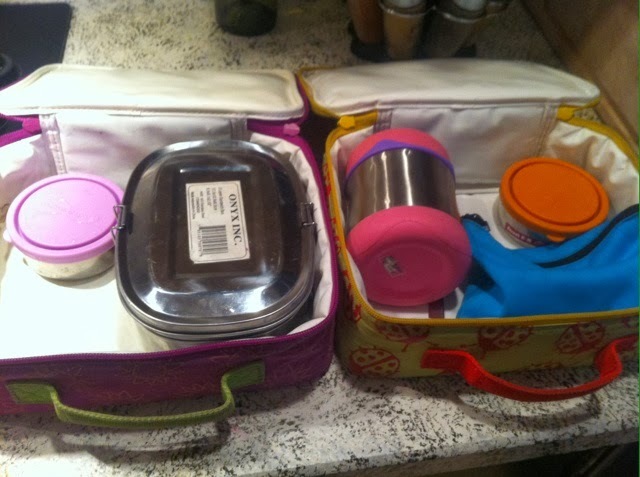 on the left is a two-level bento box, and can be great as an all-in-one lunch container. With stainless steel containers ranging from $10 to $20 or more, and snack and sandwich bags from $5 to $10, I cannot be replacing them every time they go missing. We are now down to enough supply to cover two days’ lunch for each daughter. There are times, however, when things have been left at school or daycare, or temporarily lost in a bedroom, and I have nothing “safe” to use to pack everyone’s lunch. In these cases I have had to resort to the dreaded plastic ziplock baggy (that has been washed and reused more times than I can count), plastic container that we still have hanging around, or glass containers that I prefer to use for work (but don't like to send with my kids). I have looked into giving my girls stainless steel lunch systems for Christmas presents (all in one, no need for additional containers) but as they are often $50 or more, I find it hard to justify the expense. I have invested much money so far in the individual containers and cloth bags, I am unwilling to change gears at this time. They still have a need for smaller containers because they like to run around during recess and don't want to have to carry their whole lunch outside when they play. They like grabbing their snack and putting them into their pockets. we know is not ideal, but it does reduce the need for separate containers. Unfortunately, I still have a shrinking supply of eco friendly containers, and this year I am not buying replacements for Christmas presents. We will make do with what we have. Has anyone else experienced this problem? 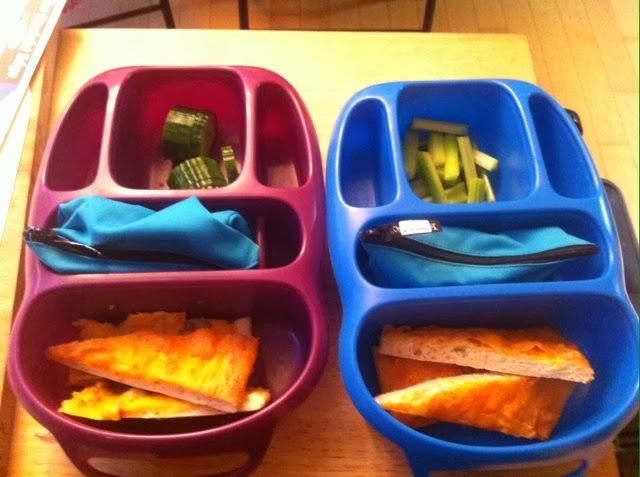 How do you handle litterless lunches for school or work? I have had the same thing--still do with my teenagers! Not sure what the answer is. I'm a vice-principal at a big elementary school, and we always have stuff in the lost and found. Kids don't seem to recognize their belongings! So frustrating! The exact same thing happened to my SIL the first week of school -- her child lost all her super expensive stainless steel lunch gear. I fear this happening. So far we've been lucky, even when my son left his lunch stuff somewhere we've been able to recover it. Perhaps you could talk to the school about having a method of collecting lunch gear after lunch (before playground)? My sister's school does this -- they have a box for each classroom and one child (I think) takes it back to classroom. Solves the lost-it-on-the-playground issue. Depends how many kids bring lunch at your school -- other parents might be frustrated too and be looking for a better method. Pick up Eco friendly lunch supplies second hand. We have now acquired a supply of stainless water bottles, lunch boxes and snack containers from our local thrift store. Save containers from food (salsa, feta cheese, humus) and reuse for snacks. 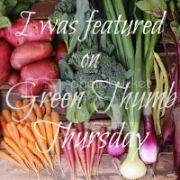 Save plastic ziplocks from tortillas, farmers market nuts, etc and use for snacks or sandwiches. I label EVERYTHING! Check the lost and found, and save the older reusables for this son. Very frustrating. I had similar issues at first when my child was in kindergarten. Labeling helped, but I'll admit, I've done the dig through lost and found. Agree with the idea of reusing food containers - not ideal, but it works. And don't let the girls bring food in their rooms! Less to clean up, and less places to hunt for containers later.